Augmented reality app developer Laan Labs shared a preview of a beta app that enables 3D scans with just one iPhone and creates highly detailed models for sharing with others. But it might still be while we see it in the App Store. Following a tweet  used by the company's prototype App the beta 6D.ai SDK, which can generate dense point clouds with a commercial mobile camera sensor. Users can scan objects by moving around the target, and the app generates a model from the captured data. The app also takes care of editing and purging on the iPhone. Using the AR Quick Look feature, which arrives in iOS 12 this month via ARKit 2.0, allows users to share the resulting USDZ file through the News app View the same model in AR. 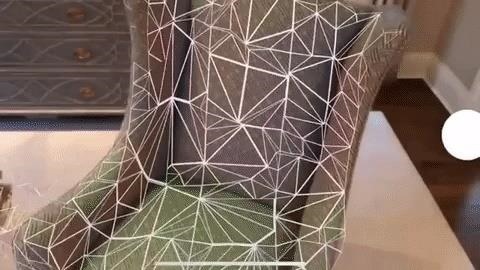 With this capability, everything can stay long enough An iPhone user walking around could become a 3D model. The demo video shows examples of furniture, food and even humans and pets replicated in detailed 3D. Both 6D.ai SDK and ARKit 2.0 are in beta and ARKit 2.0 will officially launch After announcing its newest iPhone series next week, 6D.ai has yet to announce when the production version of the 6D.ai SDK will be released. However, once both platforms are in the wild, an app like this from Laan Labs could make generating and sharing 3D content as easy as copying and pasting text.